Pelicans Watch, conveniently located along the very popular Shore Drive, offers spacious three bedroom, two and one half bath condos. The buildings offer elevator service and all units are equipped with a washer and dryer. The property features attractive landscaping and a beautiful beachfront pool. Grilling on the outdoor charcoal BBQ is always a big hit. Pelicans Watch is close to the famed "Restaurant Row", Barefoot Landing, golf courses, shopping, outlets and numerous entertainment and amusement venues. "Amazing! Loved the location of the condo! It accommodated 4 adults and 4 children wonderfully! The only thing to complain about would be not having a TV in all the bedrooms for when people are relaxing, there is only a small tv in the living room and one in the master bedroom, and the condo was dirty when we arrived. There was candy stuck to the carpet under one of the beds, the rug in the master bedrooms bathroom smelled like urine and we had to removed the rug because it smelled so bad. But once we cleaned up and vacuumed it was really nice. The condo could use some updating, but I would stay there again! " "We had a really good week and a great condo. I love the location. My only complaints are that the WiFi wasnt great. It kept kicking us off of it all week. Also the master bedroom mattress needs replaced. Thank you and we will be back. " "This condo has plenty of room for the 6 people we were traveling with. It has everything you would need for a great beach vacation. The location is perfect for what Myrtle Beach has to offer or its perfect for a laid back vacation. Wonderful view!" "Our room had a beautiful view however the furniture needed updated." "The only problem was there was no toilet tissue." "We had a great vacation. I would recommend this condo high. Just a few things that could be up dated. The kitchen needs some storeage containers with lids and baking pans. The cleaning company could do a lot better. Thanks, over all great trip. " "Very nice! My only complaint is it needs a new garbage disposal. It didn't work"
"It was in a great location and the view from balcony was great. The unit however was really old and seriously needed lots of update." "Everything was quite nice. The exterior needs some work and cleanup as well as the elevator. The inside of the condo was very clean. We were disappointed that we had to make our own beds up upon arrival, but otherwise ok with the inside." "Very nice! Clean when we got in our room. Loved being able to get in our room early. That makes the vacation so much better. Will be returning next yeae"
"GREAT PLACE TO STAY.! PLENTY OF ROOM, CLEAN, EVERYTHING WE NEEDED WAS WITHIN WALKING DISTANCE. OUTDOOR BANDS,INDOOR LOUNGE, RESTRAUNTS, STORE'S. RIGHT ON THE BEACH." "Ps-106 unit is nicely cleaned. Beds were comfortable and kitchen newer, and well equipped. Perfect place for family. Not a lot of decorations to knock over. I was very happy with the value for what we paid for. Lots of places off the laundry room for our sand toys, floats, chairs, coolers. Living room seating. Need more comfortable chairs. Bathrooms very clean. Everything worked great"
"We had a great stay and will be back again next year. Love the ocean front"
"The property and the location were very nice. The view was specta,curare! The condo had some nice updates - could use a little more but that doesn't bother me as long as the place was clean. But unfortunately it wasn't. We spent our first day cleaning. But the management was sincerely upset as well. They even refunded our cleaning deposit. Very happy with how they handled it. I would give it another try because we liked it that much. " "This is the second time that I stayed with MB Vacation Rental. Both times have been great! Special thanks to Ms. Paige for setting everything up with me and being patient with me." "We had a great time using this condo. There were 6 adults in this room and there was plenty of room for everyone. Everything was clean and the kitchen appeared to have been recently remodeled. This condo actually sits direct ocean front and not behind the pool as the pictures suggest. The screened in balcony was great for sitting outside at night and hanging out with friends without bug bites! The location is perfect as it is within walking distance to just about anything you would need. You could easily never have to get in your vehicle. There are restaurants, stores, bars, etc..
We had to do a late checkin and it was so simple. They provided me with a key code earlier in the day day and we were able to retrieve the keys out of their lockbox. We were very satisfied and the price was great. "We Had a great time. The weather was mixed but better then Rochester NY! This unit was closed up for a while and there were some initial utility problems when we arrived which were immediately taken care of. This unit is very nice, clean and ocean front. 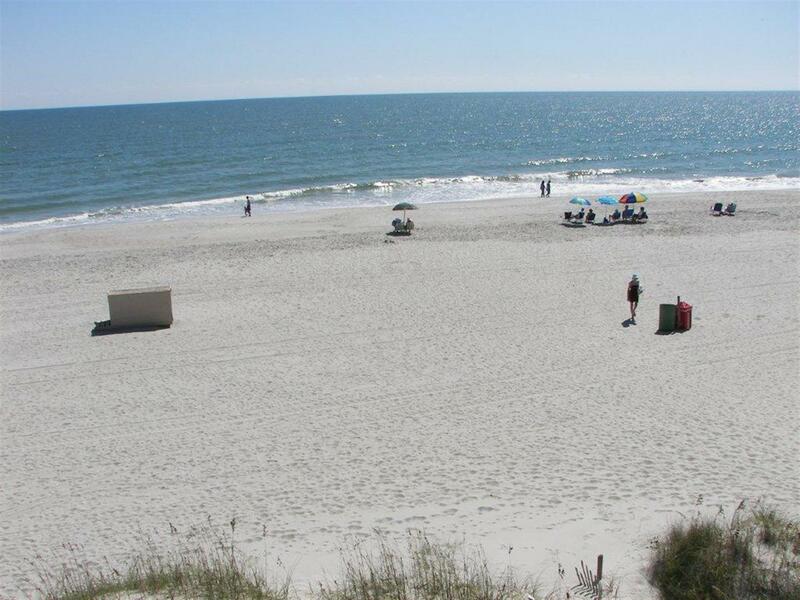 Myrtle Beach Vacation Rentals were extremely helpful and we would highly recommend them. " "We have rented this location for the past 3 years. Overall, the condo is in very good shape. The bedspreads, however, need to be cleaned more regularly." "with the weather as bad as it was having to watch tv most of the time this place needs to have tvs in all bed rooms and the one in the living room should be larger"
"Very nice condo! Loved the view! " "Lady's retreat for my church total of 6. Everything was great . We had more then enough towels. The condo was easy to fine and close to everything. It was quiet peaceful beach was great. We are planning on returning and want the same place. Pelican Watch 106. It was a awesome weekend. Thank you for all your help. " "Condo was in a great location & very comfortable. Bathrooms could both use new toilets as they are probably original to the property & some time sometimes continued to run when flushed &flushed very slowly. The shower heads are way ttoo low also a quick easy fix by installing a new shower head." "We have stayed in this condo many times. When we made our reservations we were told the price reflected the upgrades were done so we were excited as this condo is very dated. The flooring is old tile very yellowed and carpet ugly w iron burn marks the bathrooms well old and kinda gross just cause they are warned and old point where cleaning just dont do it! So needless to say we were very hopeful but big time dissapointed yes some upgrades were done granite counter new stove and dishwasher ok ya these needed replacement but you still had a stained shower in master bedroom yucky sink and floors and the toiets well atleast the seats were fixed than go to all the effort to paint and paint white ugh and messy looking! Why not as long as you have things down to paint replace the ancient curtains! Needless to say dont think it was a fair upgrade just a quick get it done type. Overall location is great and we have a great time just wish for the price we pay the place could be more spiffy!!!" "Unit has new appliances in kitchen & granite counter tops. Also new king bed in master. Could use new toilets as they seem to run forever when flushed, could also have shower heads raised as they are very low." "Condo was great, new bedroom furniture, living room couch, dining table $ chairs & bar stools. Countertops in kitchen were new granite also all new appliances. Bathroom could be updated some, shower heads raised, toilets flushed slowly & water kept running if handle wasn't jiggled." "I've stayed at these condos for years, and love the location. Shore Drive keeps you close to all you need, and going after the summer season is very affordable, and the weather is great." "A great place to stay and one which I will stay at again and again. As a matter of fact, this will be the first place I contact for reservations. The price is reasonable, the location is great, easy access to the beach, nice swimming pool area, great view, within walking distance of the pier several shops and a bar and grill. What more can you ask for." "The only thing that I would make the condo a better experience is a ceiling fan on the porch fo r the days when there is no breeze. " "For the price this was unbeatable. 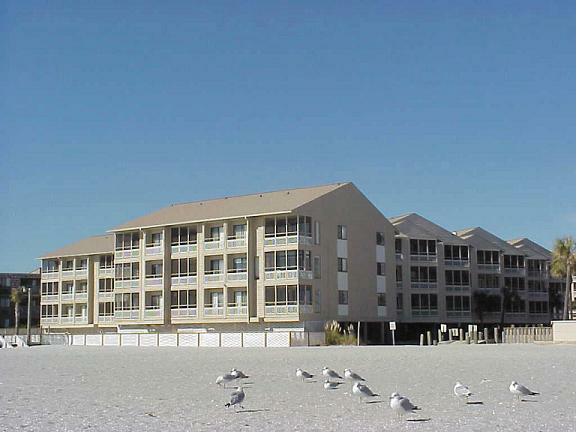 Perfect location as it was ocean front, and only a 10 min drive to Broadway at the Beach or Barefoot Landing. Best stay ever!!!" "Looking at returning next year"
"Location of rental was great. Unexpected updates had been done - granite in the kitchen, new appliances, fresh paint. My concern was the renos had obviously created a lot of dust. We had to wash the contents of the kitchen cabinets and drawers as everything was covered with grit. A new toilet seat is required in the main bathroom and all bathrooms, although functional, could use a bit of an update. " "I despise doing these surveys"
"Overall, we enjoyed our stay.the only recomdation would be that you update the appliances, and have better beds.We hope to stay there again in the future." "Wasn't looking for the Ritz, went to play golf, etc.,with friends. The accomadations fit the need."